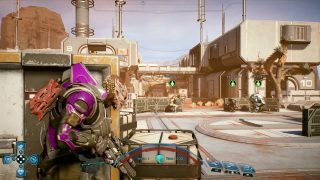 Welcome back to the Mass Effect™: Andromeda gameplay series! In our previous videos, we took a look at weapons and skills, profiles and squads, and exploration and discovery. In the video below, we’ll dive into multiplayer, which enables you to take on new adventures and further challenges beyond the single player campaign. Multiplayer is a cooperative mode that encourages and rewards teamwork. Up to four players can join together to survive escalating waves of enemies, complete a series of objectives, and extract from the battlefield. You can jump into multiplayer from the main menu, or even from within the single-player campaign. From the bridge of the Tempest, all you have to do is to launch the interface for Strike Team Missions. 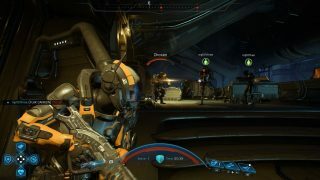 Here, you can send APEX Strike Teams on important missions for the Andromeda Initiative. Missions can either be completed by an APEX Strike Team, or you can play them yourself in a multiplayer battle. Your first step will be to choose whether to make your match public or private. Private will allow you to limit the match to invited friends, while public quickly matches you with other available players. Next, you’ll choose your character kit. There will be a wide selection of characters available at launch, including species from both the Andromeda and Milky Way galaxies, like the Human Soldier, Krogan Vanguard, and more. Each has a unique set of skills and abilities suited for different playstyles. Pick the one that best suits your style, or one that you’ve been waiting to try out. From here, you’ll want to customize your loadout. 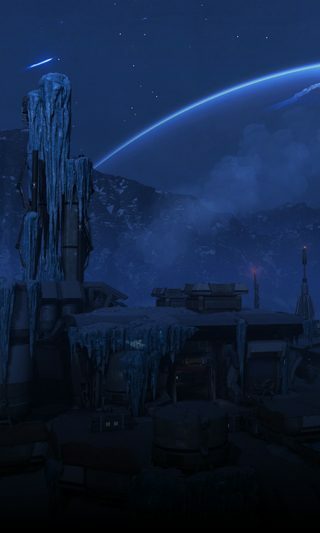 Like the single player campaign, multiplayer weapons utilize Milky Way, Heleus Cluster, and Remnant technologies. Each technology type gives you an edge against particular kinds of enemies. At launch, over 40 unique weapons will be available – many of which will be new. Some are returning favorites from the original Mass Effect trilogy, like the Black Widow, Mattock, Venom, and Carnifex. Any character can use any weapon—there are no class restrictions. Best of all, you can modify and upgrade weapons to give you a strategic advantage on the battlefield. 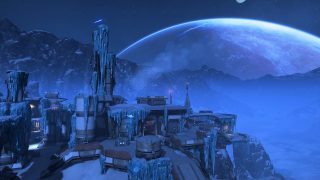 Additionally, you’ll be able to customize your loadout with boosters, which provide additional benefits like cryo ammo, increased shields, faster skill cooldowns, or even extra XP. At the completion of a match, all players will earn the same XP and Credits—so there’s no need to compete with your teammates. Use your XP to upgrade your character and evolve existing and new abilities. With a wealth of unique character kits, there are always fresh and interesting builds to explore. Use Credits to update your loadout with innovative weapons, mods, and boosters, and then put your combat strategy to the test in the next match. As you play, you’ll quickly figure out what works and what doesn’t for each character. Here are a few tips to help you jump directly into your first match and play like a pro. Begin your multiplayer adventure with the tutorial mission to get a feel for the pacing of matches and to earn some helpful rewards. Always check your Supplies before starting a mission. You never know when you’ll need an extra Revive Pack or a Cobra RPG. Use cover. It’s fast, easy to get to, and it’ll save you from taking too much damage. Play as a team. Stick together, support each other, and communicate. Working together is the only way to ensure humanity’s survival in our search for a new home. We’ll see you in Andromeda!